As a letterer and freelancer, inspiration and learning are so important to keep your skills constantly evolving. I only have a small collection of books dedicated to lettering and freelancing but I wanted to share with you a few of my very favorites. Maybe there are some in here that you can add to your own collection! 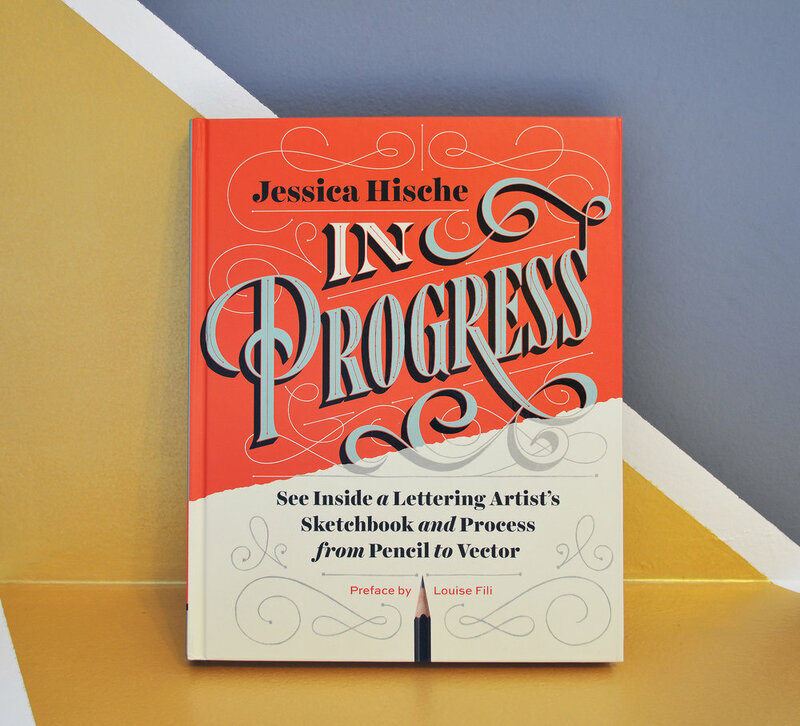 I bought this book because Jessica Hische was my very first and main inspiration and the reason I got into lettering. The day I received it, I read it cover to cover, which I usually don’t do with type books (I tend to jump around and just look at things I need at the time). I can’t tell you how great and inspiring this book is, so you need to go and read it yourself. Jessica talks about her whole process, gives amazing tips and tricks, and shows all of the sketches for some of her popular works. It's so great to see the process from beginning to end. Drawing Type was one of the first books I got when I started lettering. It’s just a great collection of works by amazing lettering artists, organized in sections of hand-rendered lettering, vintage lettering, playful type, contemporary type, and then a section on drawing type. The first part gives you lots and lots of imagery along with little interviews with each artist. The second, much shorter section, talks a little bit about type anatomy, lettering tools, gives you some lettering exercises for each of the styles in the first section, and then provides a few pages of type specimen sheets. Overall, I've found that I turn to this book a lot for inspiration because it offers such a nice variety of styles. I received this book as a Christmas present one year from one of my good friends and am so happy that I did. Louise Fili is a lettering goddess and it’s amazing to see her extensive collection of script type and inspirations in this book. It’s a collection of 19th to mid 20th century script examples from USA, Britain, Italy, France and Germany. It has so many examples that it's impossible to really take it all in in one shot. Such great reference if you’re creating script lettering. I found this book in a discount bin at Casa Mila in Barcelona and I kind of felt like I won the lotto. It was a bit worn and torn but that somehow only added to its charm. At the time, I was looking for some inspiration on flourish styles and ornamentation and this book spoke to me. It is full of examples of various ornamental forms, like natural, geometric, pictorial, as well as hundreds of different rules and borders to get your creative ideas flowing. A lot of them are a bit old-style and a lot are very Art Nouveau inspired. It says that it contains a collection of examples starting at around 1557 and ending in 2014. This is an amazing little reference book if you’re looking to do very detailed decorations in your lettering work. This was also one of my first lettering books and I love to look over it from time to time for inspiration. The title is pretty self-explanatory - it’s a very large collection of sketches (mostly shots from sketchbooks, very rough drawings) from lettering artists. It even shows Louise Fili’s sketches, which is so awesome to see. It’s also just nice to see that the sketching process is messy business sometimes and it’s ok that your initial sketches don’t look like artworks. I think I originally bought this book because I just loved the cover but after I got the chance to look over it, I loved it for its contents too. This is another lettering collections book and shows works from many different artists like Lauren Hom, Jessica Hische, Mary Kate McDevitt and many many others. It’s split up into three sections: Digitally Drawn Lettering, Hand Drawn & Illustrated Lettering, and Three-Dimensional Lettering. This cute little orange book would be a great addition to your library if you don’t already have it. This is one of my oldest type books that I bought back when I was getting my Bachelor’s Degree in graphic design. It was a required book for my design class because it’s just a really great reference on type in general. It is not a lettering book but I think that you can only get better at lettering if you understand type. it talks a lot about how to set type, how to use type combinations, grids, hierarchy, spacing, etc… It has a very very small section on lettering but this is NOT a book for lettering inspiration. 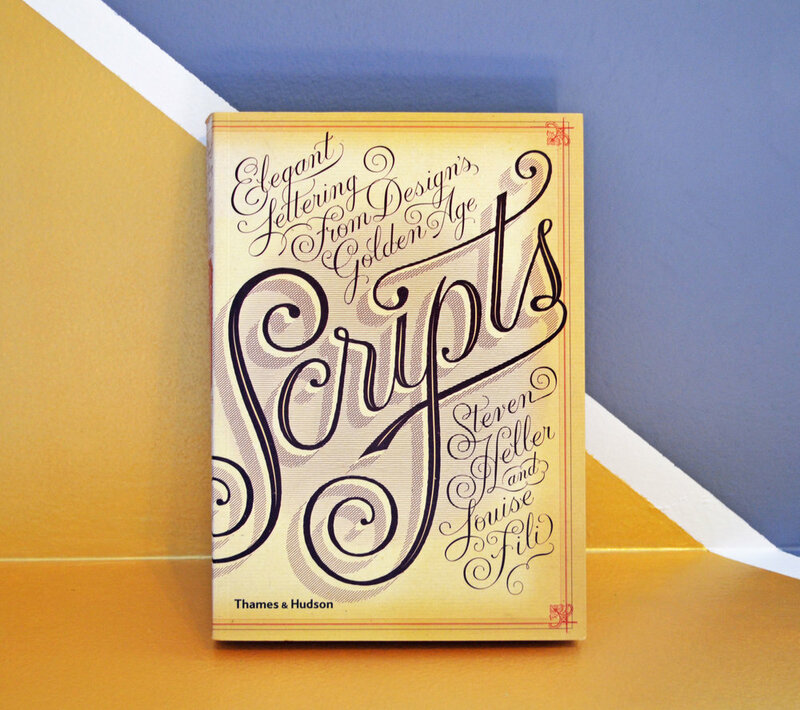 It’s a book for understanding typography at its core. I got this book pretty recently as a present and I can’t believe I didn’t know about it before. It’s written by Sara Horowitz, who’s the founder of the Freelancer’s Union and she writes about literally everything you need to know as a freelancer. She interviewed successful freelancers in the union and gives such great advice about what to do and what not to do when starting your own business. This is such a great guidebook when you feel completely clueless about freelancing. I haven’t even gotten through the whole book yet because it’s pretty thick and has so much information that you need to ingest it in pieces. She goes through topics like how to get clients, how to keep clients, how to market and grow your business, even things like taxes, managing your office, and setting up your workspace. It’s a literal bible for everything freelance life. EVERYONE should use this book (or series of digital books as it is now) for figuring out pricing and guidelines for all freelance projects. And I mean everyone. Not just because it will help you figure out pricing for projects, the all-time dreaded task, but also because when everyone is on the same page, design work will stop being undervalued. Our work has value and when artists lowball clients to get work, it hurts everyone. When a great designer does something for free or for a minimal fee, that client will now expect good work to come cheap, which will in turn hurt the next designer who quotes a fair price and doesn’t get the job. This book lists the standard pricing for literally anything you can think of, and while those numbers are not end-all-be-all, they give a pretty great general ballpark figure. Pricing is only one part of this series of books, though. The other two books focus on business practices and legal rights, which are also so essential to understand for a freelancer. Have you ever wanted to redesign the cover of a book you love? Well, no need to wait for those publishers to call because you can make your very own hardcover at home with just a few supplies and a bit of time (It won't be on the shelf at Barnes & Noble but you can show it to everyone that comes over your house). I'm going to walk you through all of the steps to turn your designs into actual covers and tell you about some things I've learned in the process that will hopefully make your life easier when you get started.